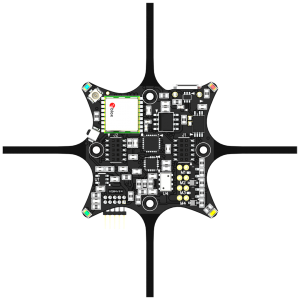 Any AutoQuad board can be mounted facing whichever direction you want (rotation). Also, any AQ that is based on a DIMU (M4 or AQ6 with add-on) can be flipped 180 degrees around the pith or roll axis so that it can be mounted upside down. This is especially handy for M4 where you might need to flip it upside down to give better access to the expansion headers. 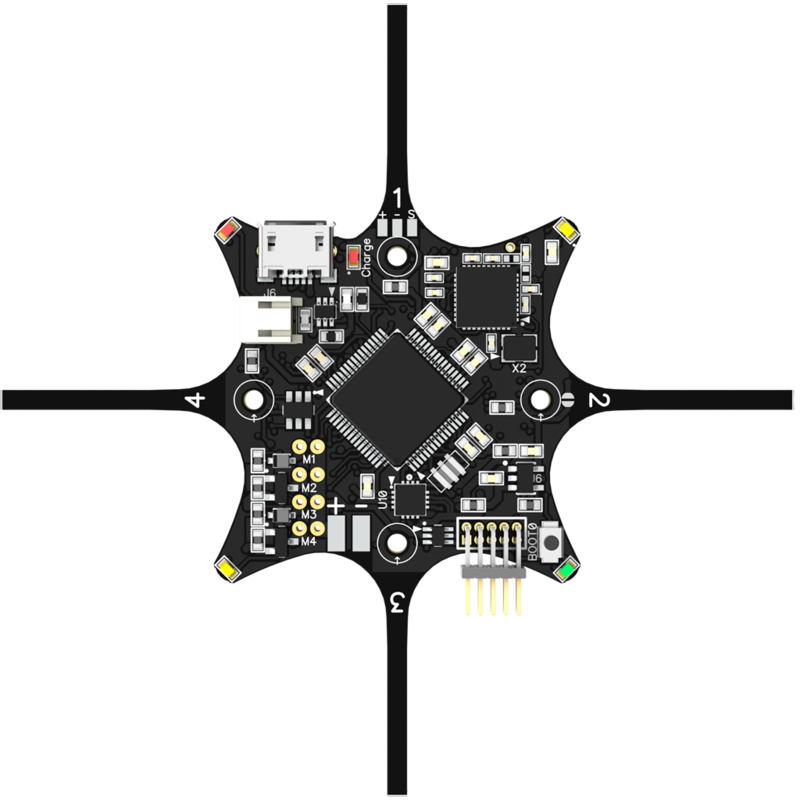 Between the two options, you have complete freedom to mount your DIMU based AQ board anyway you will want. You can find the settings in the “Misc. Settings” tab in QGC. 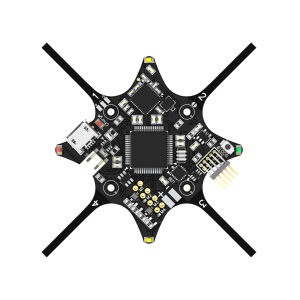 The first image will show the default flight direction (IMU Rotation = 0), but the parameter IMU_ROT allows for any angle in degrees. 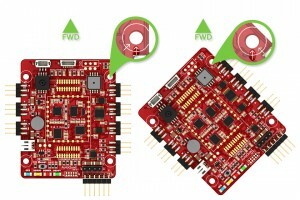 The second picture will need an IMU Rotation of -45, for example. 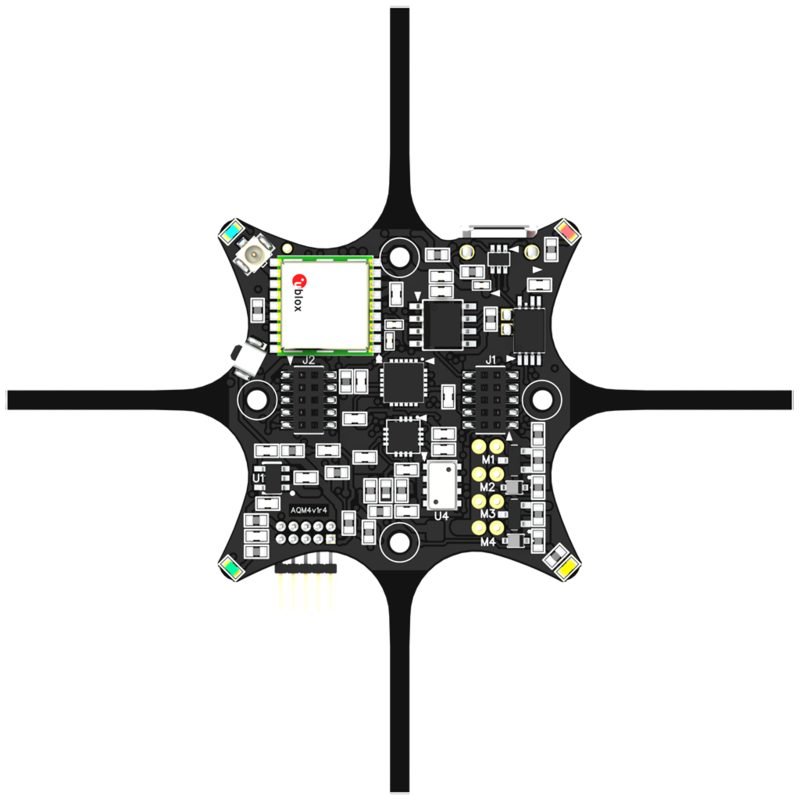 Default orientation for M4 is a plus configuration with the MCU side up and Arm1 pointing forward. 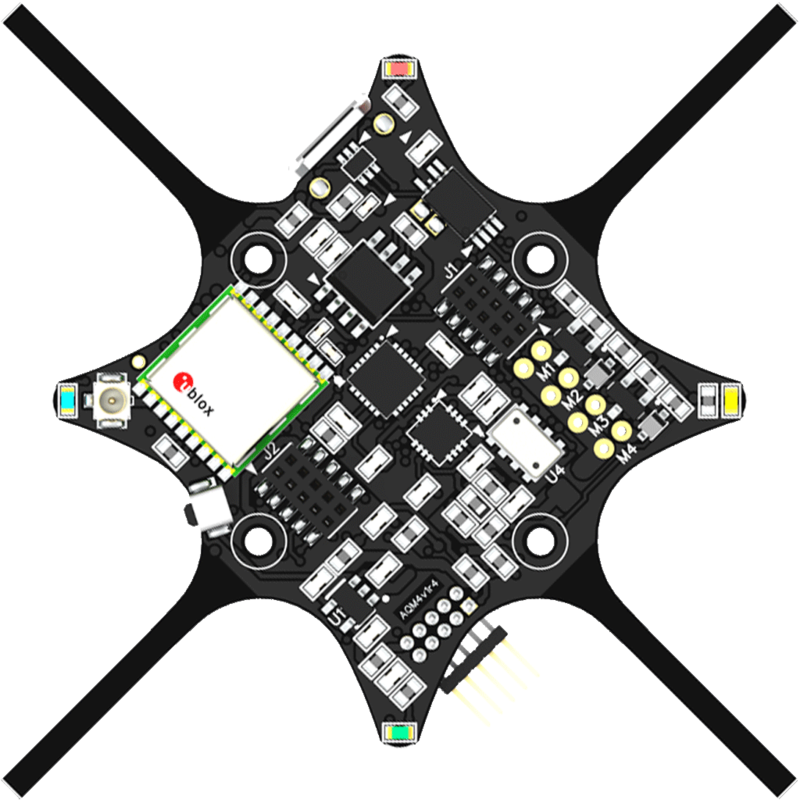 If you flip around the Y (roll) axis, you then set IMU_FLIP = 1, write to flash, restart and flip the board 180 degrees on the roll axis. Notice that Arm1 is still pointing forward after a roll axis flip. Now let’s put the two examples together. Say you want to mount an M4 upside-down and in an X configuration. 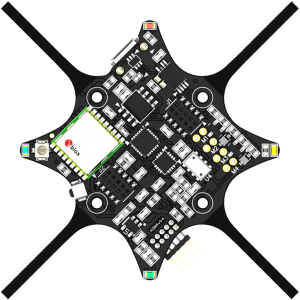 You then enter a value of -45 degrees into the IMU Rotation field and specify the Y axis for DIMU Flip setting (IMU_FLIP = 1). Save the parameters, restart, and now the IMU will be rotated to bring M1 to the forward left position. This page was created on 19-Aug-14 by jussi. Last modified on 17-Oct-14 by MaxP.